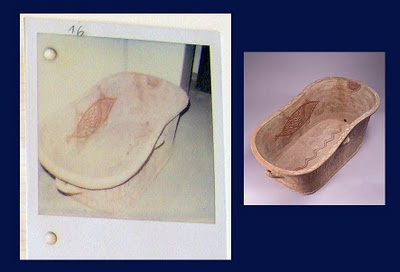 Left: image from Becchina archive. Objects in the Michael C. Carlos Museum are under renewed scrutiny after the latest Becchina appearances of archaeological material from Greece in London. The museum has let the case go unresolved for 9 years; the story was broken in the Greek press more than 10 years ago. There are three items: a Minoan larnax, a pithos, and a statue of Terpsichore. It is about time that the curatorial team at the Michael C. Carlos Museum offered to return the items to Greece.